The Dutch government wants to reform the treatment of Dutch history in primary education, and installed a special committee to create a canon of Dutch history. Yesterday the committee presented the finished canon: A list of 50 events and people that represent Dutch history. 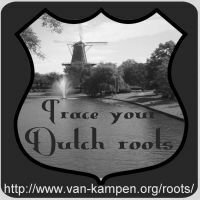 The list contains all the expected topics, like Erasmus, William of Orange, VOC (Dutch East India Company), and Rembrandt, but also the dark side of Dutch history, like the slave trade or the independence war of the Dutch Indies. Though the canon is intended mainly for primary (and to a lesser extent secondary) education, it is required reading for anyone interested in his Dutch heritage. the canon not as a problem, but as an opportunity"